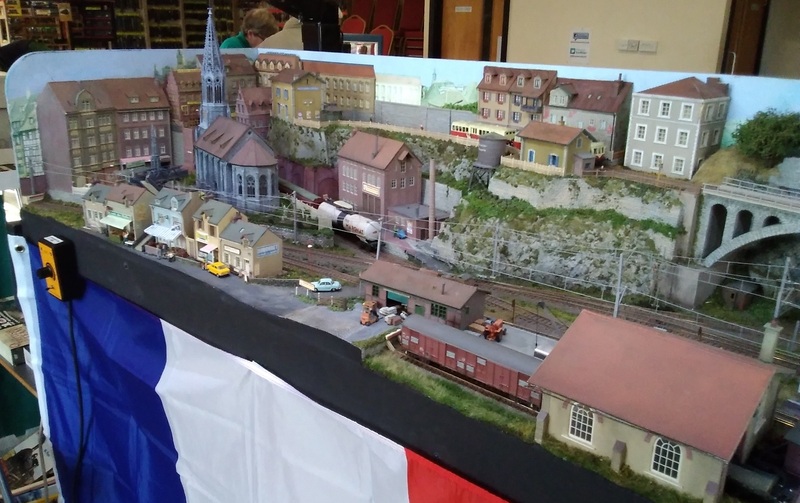 Just got back from a weekend at the Bournemouth Model Railway Exhibition. 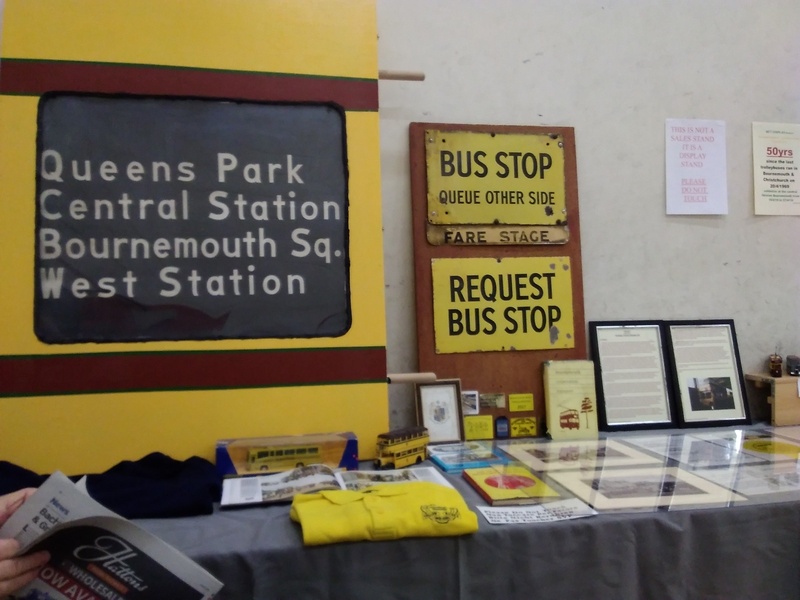 I was there helping (or I think I was) Richard with his display of Bournemouth Corporation Transport. As its 50 years since there last trolleybuses ran. Weather was not kind on the way down on Friday lunchtime. Heavy rain and a lot of spray on the motorways. The New Forest was showering water everywhere. The weekend away from work past too quickly. The event was held at the Hanworth Club in Magna Road. BH21 3AL. Near Bear Cross. The club has a large bar area and a frantic kitchen that provides great food and a Carvery on a Sunday. Which is well supported by members on a Sunday. 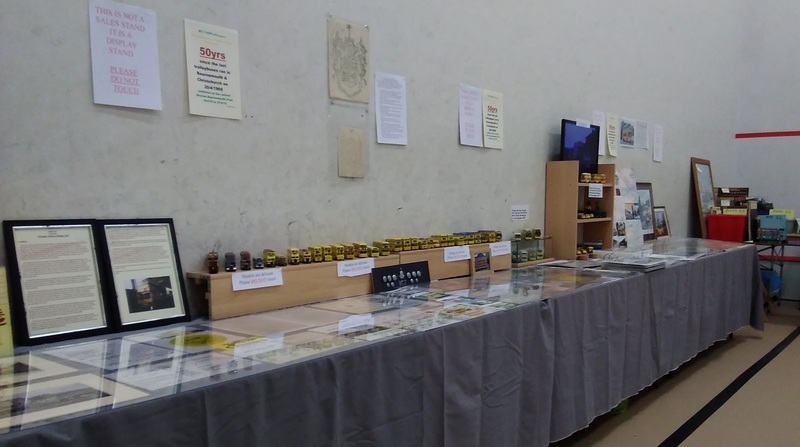 The exhibition takes place in a hall, a large and a small room and the two badminton courts. We were in one of them. 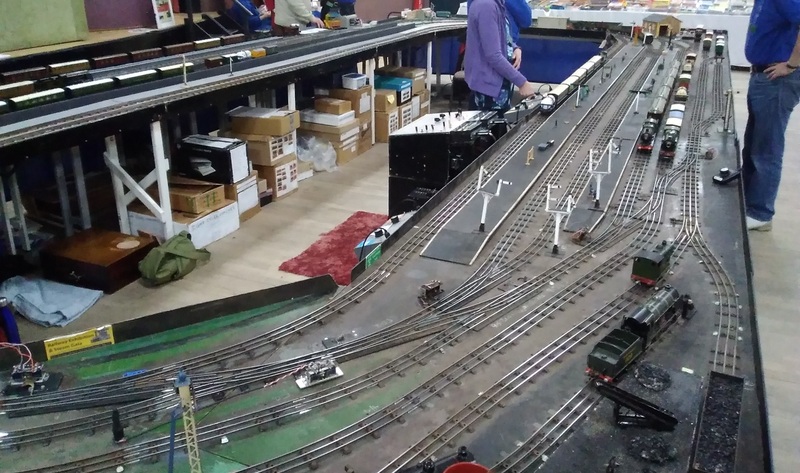 This show is a very enjoyable show with some different layouts and traders from the more local ones we normally see in the South East. Please note the dates of the next show which is 8th & 9th of February 2020. Well worth a visit if you can make it. And here are a selection of his photos, starting with Ollie’s buses. 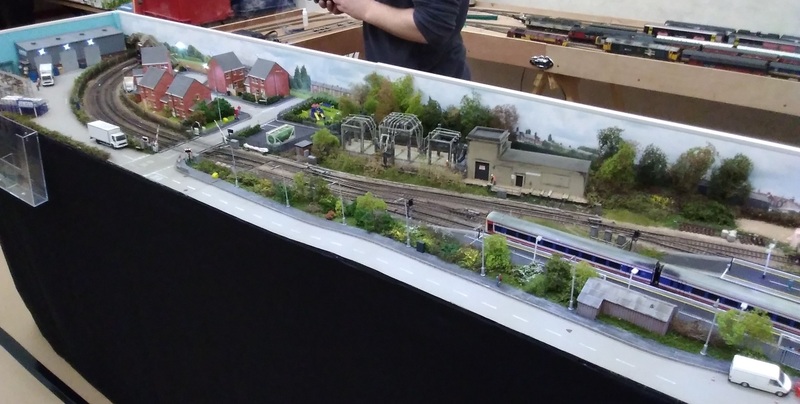 And some of the layouts. Firstly ‘Platform 7’. 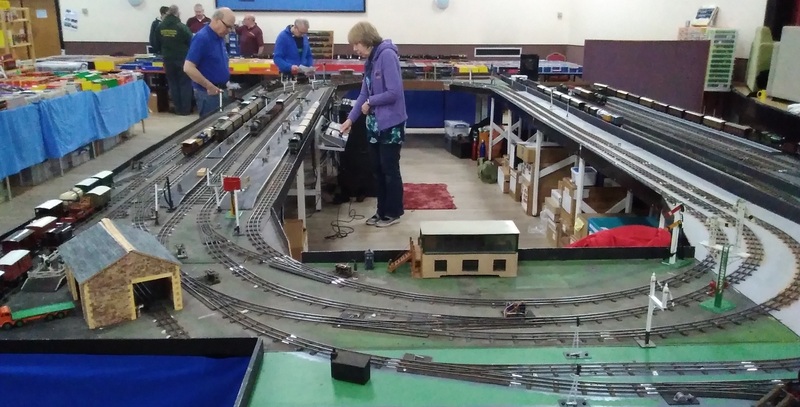 Is DRS the new GWR? Everyone seems to be modelling it! See also Greasy End Depot…. 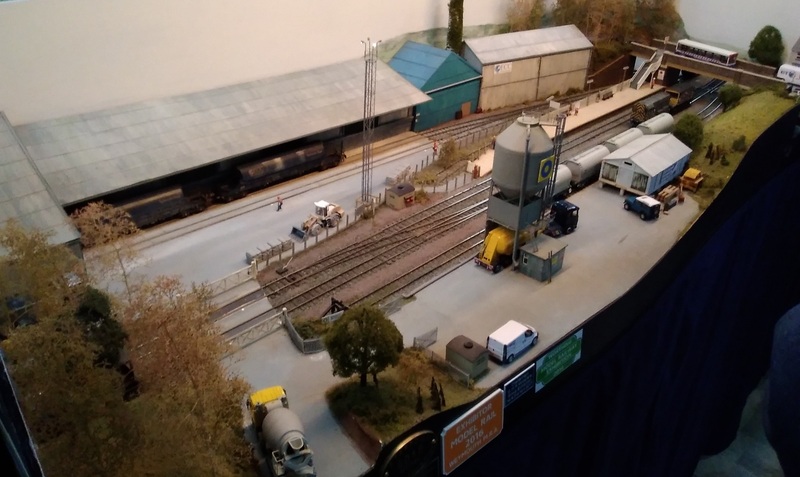 West to Cornwall for China Clay at Melan Goose…. 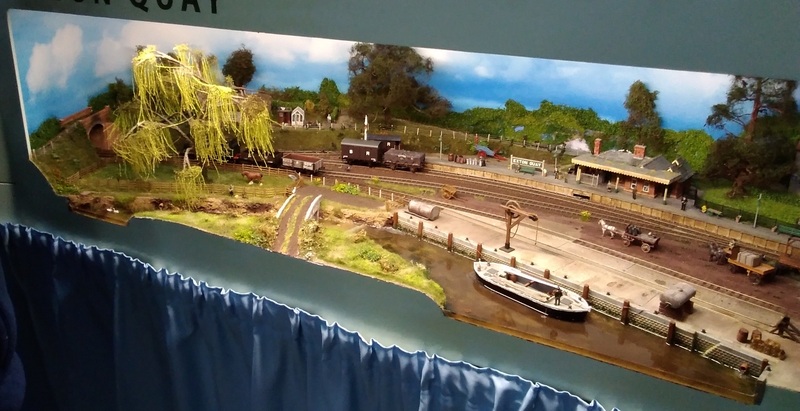 Southern Railway at Exton Quay…. A Gallic contribution from the snappily named Villefranche-la-Chapelle. Don’t mention the rugby…. 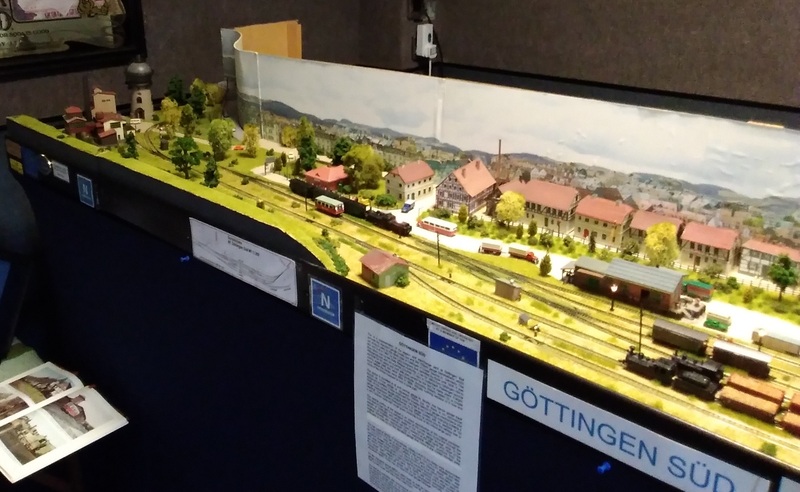 Gottingen Sud (don’t mention B**x**). Folly Lane, one of a couple of ‘OO’ tail chasers…. I liked Alan’s Way (no relation). 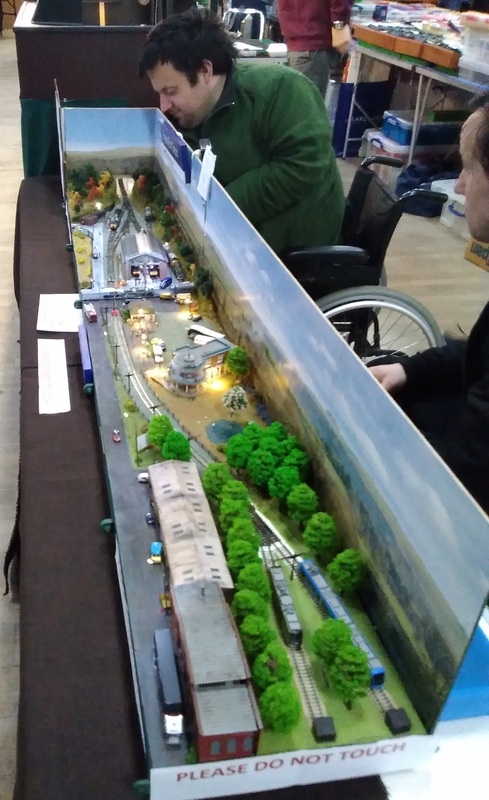 Not only is it showing how model railways can be wheelchair accessible, but I like the concept of the layout split in the middle -British Rail and a preserved line (or a similar combination), I assume. 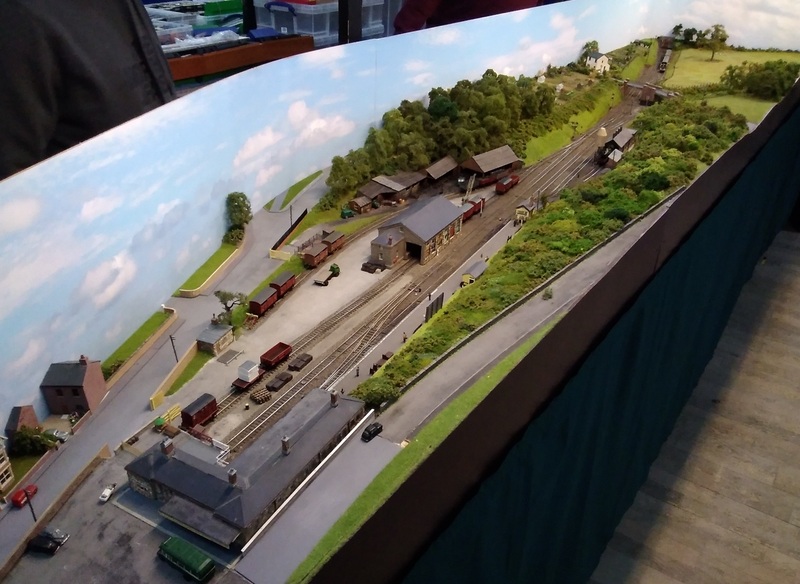 And finally, model trains as they used to be – Templeford, the rather excellent vintage ‘O’ gauge display.